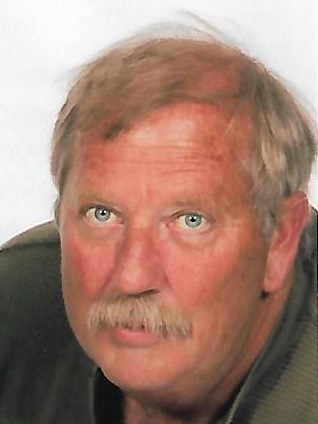 Clifford L Reynolds, of Delta, born January 4, 1960 passed away from pancreatic cancer January 24, 2019. Clifford was born to Harold and Florence Reynolds of Perrysburg Ohio. After high school Clifford met the love of his life Kathleen Zeller; they wed March 5, 1984. They had two children Joshua and Megan. During this time he worked for Libbey Owens Ford and CSX. He then decided to open Cliff’s Automotive Repair out of the garage at his home. After about three years he decided to move his business to uptown Delta in 1999. The business continued to grow and in 2010, he opened a used car lot, which his son worked for him and has worked side by side with his dad the entire time. The business still continues despite his passing. Over the years he was blessed with four grandchildren. Lily Ann and Lucy, from his son Josh and daughter-in-law Jennifer, and, Wyatt and Tatum from his daughter Megan and son-in-law Richard. His grandchildren loved going up to the shop playing with all the tools. His passion was giving his grandchildren rides in his blue Bonneville which his grandson Wyatt loved the most. The summer was the time of the year that the kids hung out and learned how to swim and spent time by the pool with their Grandma and Grandpa. Then they would finish up the day in the backyard by the fire pit roasting marshmallows, there, he would bring his box guitar out and start singing the night away with his family and friends. Clifford will be greatly missed by the love of his life, his children, and most of all his grandchildren. Friends will be received from 2:00 PM – 8:00 PM on Sunday, January 27, 2019 at Barnes Funeral Chapel, 5825 St Hwy 109 in Delta. A funeral service celebrating his life will begin at 10:00 AM on Monday, January 28, 2019 also at the funeral home. Pastor James Gorrell will be officiating. A 1:00 PM interment will follow at Fort Meigs Union Cemetery in Perrysburg. In lieu of flowers, those wishing a show of sympathy are asked to consider contributions to PanCAN (Pancreatic Cancer Action Network), 1500 Rosecrans Ave, Suite 200, Mahattan Beach, CA 90266 in Cliff’s memory. Online condolences may be sent to the family through our website at www.barnesfuneralchapel.com.